Deepika Padukone and Ranveer Singh just look stunning at their reception! 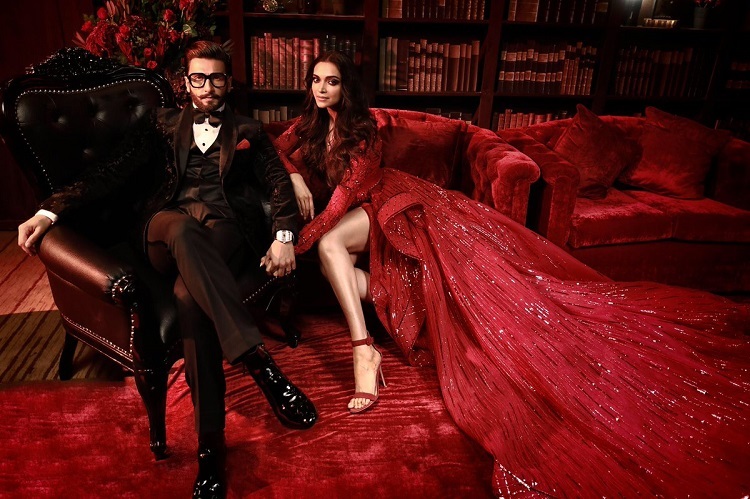 Deepika Padukone and Ranveer Singh seem to never fail to take all our attention as this newly married couple organized their wedding reception recently. Both the Ranveer and Deepika have already wooed us all by adorning their Indian traditional dresses but now, they arrive in Western look. The actor and the actress both took to social media to share their photos of reception, and they look absolutely stunning! Many Bollywood celebs along with other dignitaries from various fields attended the reception. Switching back to films, both are packed up with projects.